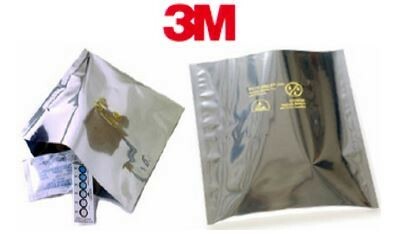 Dri-Shield 2000™ are superior Moisture Barrier Bags with Static Shielding in the industry. Dri-Shield 2000™ are superior Moisture Barrier Bags with Static Shielding in the industry. The Moisture Vapor Transmission Rate (MVTR) on the Dri-Shield 2000™ is <0.02 g/100in2/24hrs*and puncture of 20lbs. Protect items from Moisture and Static Damage. Copyright © 2005-2019 SilicaGelPackets.com. All Rights Reserved.